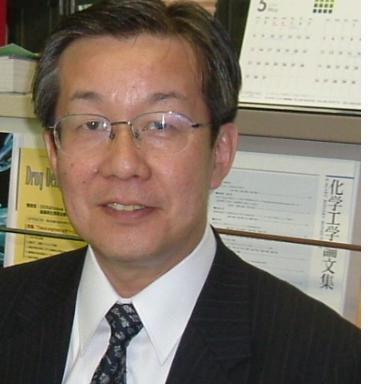 Dr. Hirofumi Takeuchi is professor of department of pharmaceutical technology, Gifu Pharmaceutical University. e received his B.S. (1979), M.S. (1981) and Ph.D (1984) in pharmaceutical sciences from Kyoto University. He joined Gifu Pharmaceutical University GPUas a faculty member in 1984, and became Lecture in 1988. He is now Professor of GPU and the dean of graduate school of GPU. He spent one year as a visiting scientist at Faculty of Pharmacy and Pharmaceutical Sciences, University of Alberta, in 1989-1990. e is now working for several scientific societies such as for the vice president of The Society of Powder Technology, Japan, and CRS (Controlled Release Society) Board of Scientific Advisors and so on. His research interest includes Modified Drug delivery & Drug release, Powder Technology.